Here’s the thing about fall: It’s pretty much peak crafting season. 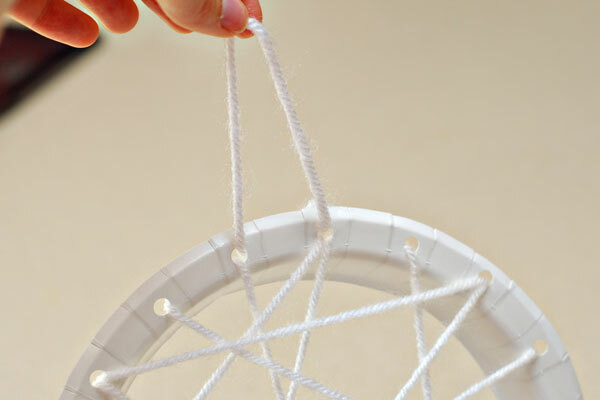 Besides the fact that the bright oranges and reds that pop up during this time of year are gorgeous, there are also a million things associated with Halloween that make for easy, fun projects for kids. 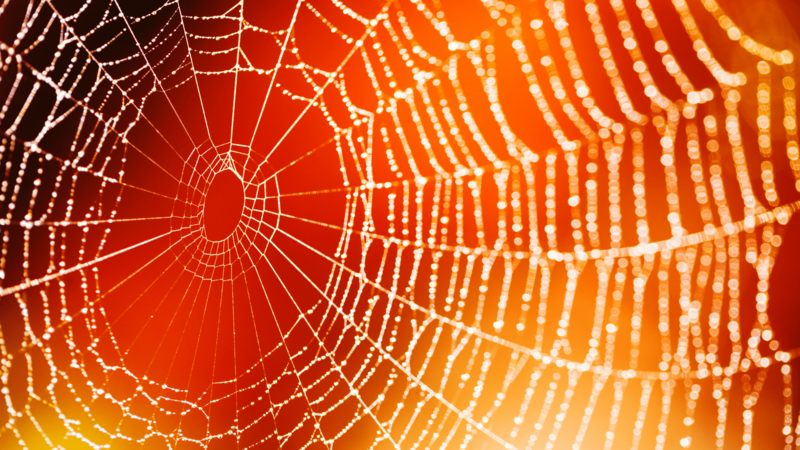 Like these super easy spider webs. 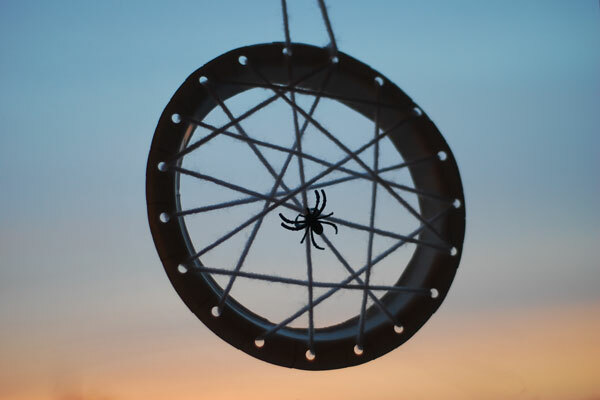 The cool thing about our spider web craft is it also doubles as a dream catcher, so you can really make this a year-round decoration. 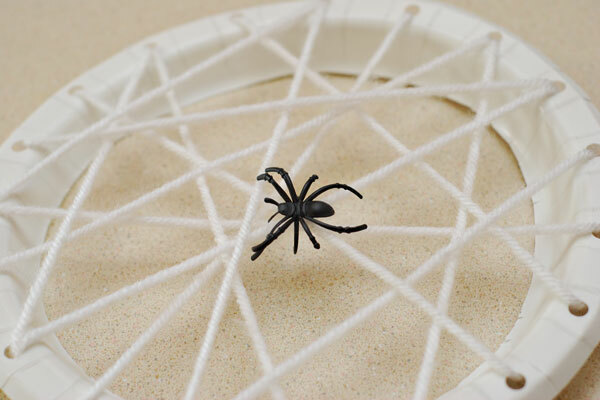 We kinda prefer them as intended, however, with a creepy little fake spider crawling around in the middle. 1. 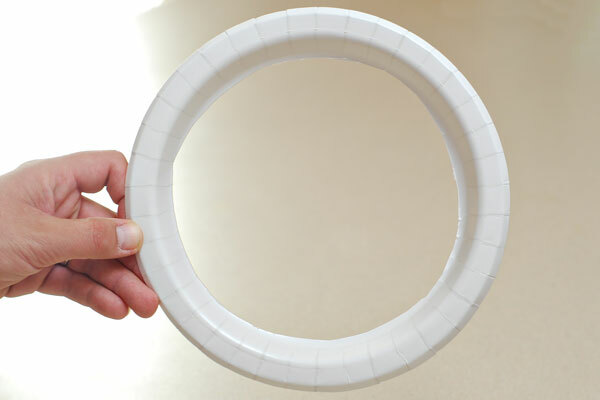 Use your scissors to cut out the center of the plate. 2. 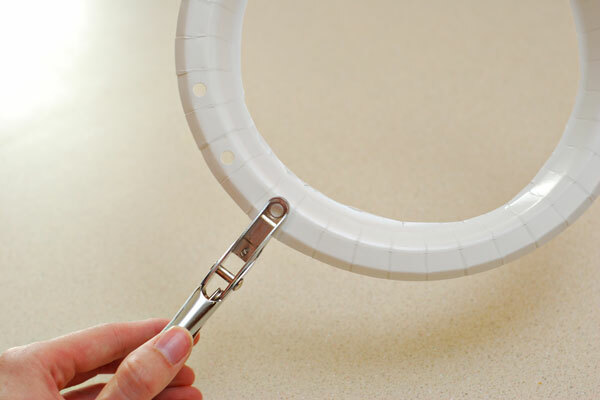 Use your hole punch to cut out holes along the rim of the plate. 3. Cut about 6 feet of yarn, then feed the end of the yarn through one of the holes. Use the tape to secure it in place to the back of the plate. 4. Feed the other end of the yarn through another hole, then continue weaving the yarn back and forth to form the web. Secure the end on the back with tape. 5. 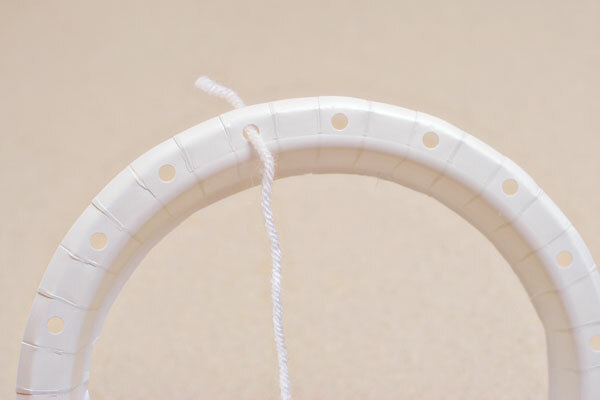 Cut a slit in the spider ring (if there isn’t one already) and slide it onto the yarn. 6. 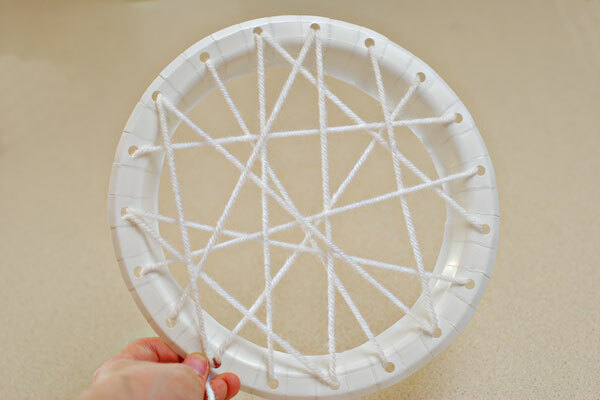 Cut another 6-inch length of yarn and thread it through two holes at the top of the plate. Secure it in place with tape. 7. 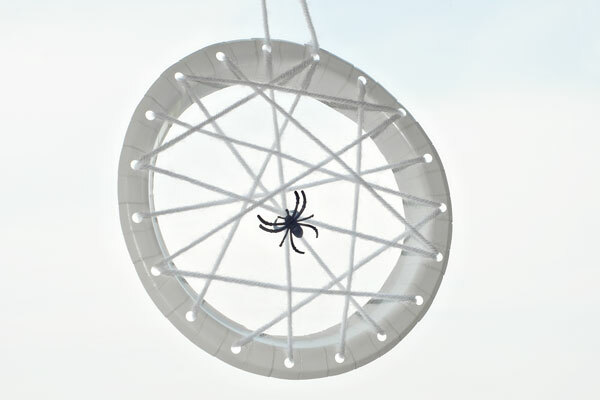 Grab a piece of tape and hang the spider web in the window. Originally posted October 2012. Updated October 2017.